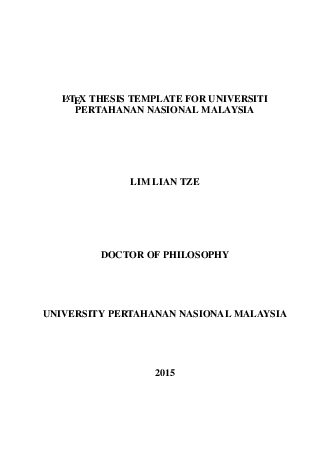 I’ve created a LaTeX document class and template, upnmthesis, for Universiti Pertahanan Nasional Malaysia (UPNM), as commissioned by the university’s Centre for Graduate Studies. It’s also available on Bitbucket, as well as on Overleaf. The user guide/manual is also my first attempt at using the tufte-book class, as well as minted for the code listings. I must say I like the look!